4, 6 and 8 Bay units available. Add additional bays as required. 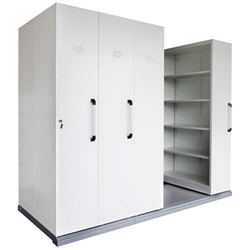 Colour: White Powder coat steel cabinets. Features: Charcoal Base. Easy levelling and locking system. O/A Width: 980mm and 1280mm available.